Good vision is a precious gift. It's also a daily necessity. If you can't afford routine eye exams and prescription eyeglasses, a number of public and private organizations may be able to help you obtain a free eye exam and free eyeglasses. If you need financial assistance to obtain eye care or eyewear, you might want to contact one of the following programs. Social workers and local community organizations also have information about programs that help people in financial need get the eye care and prescription eyewear they need. InfantSEE is a national public health program managed by the American Optometric Association (AOA) through its philanthropic and charitable organization, Optometry Cares - The AOA Foundation. The InfantSEE program provides a one-time, free eye exam for infants. The InfantSEE program provides a no-cost first eye assessment for infants within the child's first year of life, regardless of family income or insurance coverage. The free eye exam is performed by an AOA member optometrist who donates his or her time in an effort to ensure that eye and vision care become a part of routine infant wellness care in the United States. According to Optometry Cares - The AOA Foundation, InfantSEE is just the first step to ensuring healthy eyes and clear vision for children. Parents should schedule routine eye exams for children when their kids reach age 3, again before they begin school and every two years thereafter, unless otherwise directed by their eye doctor. The InfantSEE program was developed in partnership with The Vision Care Institute, a Johnson & Johnson company. To learn more about InfantSEE and to find a participating optometrist, visit the InfantSEE website . Medicaid is a jointly funded, federal-state public health program that is administered by the states. Medicaid provides health care coverage to certain low-income people and families who are U.S. citizens. Qualifying for Medicaid may depend on several factors besides income, resources and age — including whether you're pregnant, disabled or blind. Each state has unique eligibility rules and covered benefits. In general, Medicaid coverage is available in every state for children in low-income families. Medicaid pays for a number of services for eligible children, including preventive care, screening and treatment of health conditions, physician and hospital visits, and vision and dental care. To find out what services the Medicaid program in your state will cover, search online for "Medicaid" and the name of your state ("Medicaid California," for example). The Children's Health Insurance Program (CHIP) is a state and federal partnership that provides low-cost health insurance coverage for children in families who earn too much income to qualify for Medicaid but cannot afford to purchase private health insurance coverage. The Children's Health Insurance Program (CHIP) covers eye exams for schoolchildren who are not eligible for Medicaid. Preventive care must be provided at no cost to the family, but premiums and other cost-sharing may be required for other services, within certain limits. In most states, children enrolled in the program may be eligible for free eye exams. To find out if your children are eligible for CHIP or Medicaid coverage, visit the CHIP/Children's Medicaid website . VISION USA, coordinated by the Optometry Cares - The AOA Foundation, provides free eye exams to uninsured, low-income workers and their families. For more information about VISION USA, call 1-800-766-4466. Volunteer ophthalmologists accept Medicare and/or other vision insurance reimbursement as payment in full. Patients without insurance receive care at no charge. 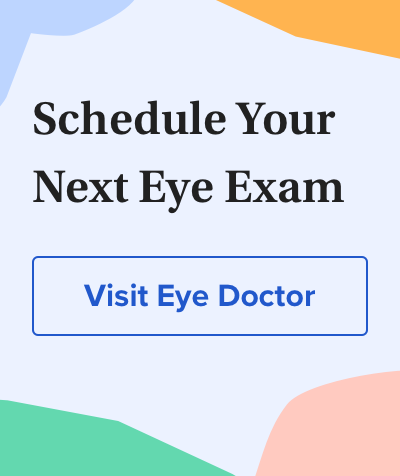 To determine if you or a senior family member or friend qualifies for free eye exams and other services provided by this program, visit the EyeCare America website . Lions Clubs International provides financial assistance to individuals for eye care through its local clubs. You can find a local Lions Club by using the "club locator" feature on the organization's website . Though Medicare does not provide free eye exams or free eyeglasses, Medicare-eligible people with special eye or general health problems do qualify for eye exam coverage. One in four U.S. women has not had an eye exam in the last two years, says a 2014 Harris Poll survey funded by Prevent Blindness. People with diabetes can get a dilated eye exam to check for diabetic eye disease, including diabetic retinopathy. Your doctor decides how often you need this exam. Medicare-eligible people who are at high risk for glaucoma, such as individuals with diabetes or a family history of glaucoma, can have an annual eye exam to check for glaucoma and receive Medicare coverage for this exam. Patients must pay 20 percent of the Medicare-approved amount after the yearly Part B deductible. For more information, visit the Medicare website . Sight for Students, a Vision Service Plan (VSP) program, provides eye free exams and free glasses to low-income, uninsured children. The program operates nationally through a network of community partners who identify children in need and VSP network eye doctors who provide the services. VSP founded Sight for Students in 1997 and was one of the original commitment-makers to America's Promise, which strives to bring together organizations dedicated to helping America's youth. For more information about Sight for Students, visit the Sight for Students website . New Eyes is a non-profit, non-sectarian volunteer organization that purchases new eyeglasses for poor children and adults in the United States. The organization also recycles donated glasses for distribution to indigent people in developing nations worldwide. Founded in 1932, New Eyes has provided free eyeglasses to more than 8 million people in the U.S. and around the world. The organization is based in Short Hills, New Jersey. For more information, visit the New Eyes website .